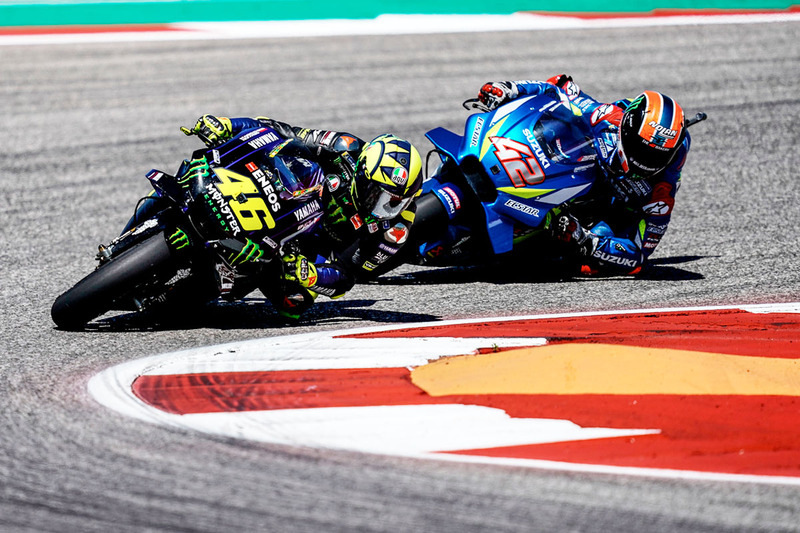 Rossi rides to stunning second in close COTA Contest. MASSIMO MEREGALLI, TEAM DIRECTOR : "Today was a very mixed experience for the team, results-wise. Valentino really did all he could to get the victory. It's a shame - also for the team, but especially for him - that he just missed out. It was so close! Still, taking a second consecutive second place is very good, so we feel encouraged to keep up the good work. As so often in MotoGP, a small mistake can have a snowball effect and create a lot more trouble. After his jump start, Maverick lost a lot of time because of the ride through and the unnecessary long-lap lane. We can tell from his pace at the end of the race that he could have been a strong contender today. So, in the end there are some learning points after this experience, but I think one major positive that we can take away from this weekend is the overall bike performance. We've made another step and are looking forward to confirm the improvements at the next round in Jerez." VALENTINO ROSSI: "I'm very sorry for missing out on the victory, because when I saw Márquez crash I said to myself 'Maybe I can do it', but after that Rins arrived. Sincerely, I pushed to the maximum, the race was very fast, I did one good lap after another, but in the end he was better than I was. I was riding very well, and I wasn't able to overtake him. It's a shame because I haven't won for a long time, but we are strong, and we will try again next time. On a positive note, I tried everything today, I rode a very good race and stayed in front for a long time. Riding on the limit, unfortunately I made some mistakes. Maybe if had done everything perfectly I could have tried to attack on the last lap again. So, mixed feelings: on the one side, I'm sorry about the victory, and on the other side it's a great result after a great weekend. I was strong and I rode a very good last lap, but I didn't want to do anything too crazy because 20 points are very important for the championship, which is still very open. It looks like we are strong this year and that the bike has improved, and these are the most important things, because maybe we can fight at the front many times this season." MAVERICK VIÑALES:"I misunderstood the penalty a little, but anyway, besides the mistake, it was a good race weekend for us here. We showed a really good race pace and after the ride through I could easily ride in the 2'04s. This is just the way it is. We will have to try again in Jerez and be stronger there. I made a mistake at the start. I was starting really well all weekend, this afternoon I tried to do the same, but on the grid the bike got a bit hotter and the clutch engaged and the bike started running. It's a shame, because I felt really good during the race. I already knew there was a chance that I would get a penalty, and that's just the way it is. At first, I thought I had to do a long lap, but then I saw 'ride through' and thought 'OK, I have to do this'. The good thing was that the bike was working really well. We had a good set-up for the race. We need to keep working and find the best system for the start. The start was actually good, as in that I didn't lose any positions, and I tried to overtake some riders. Let's see what happens at the next races."